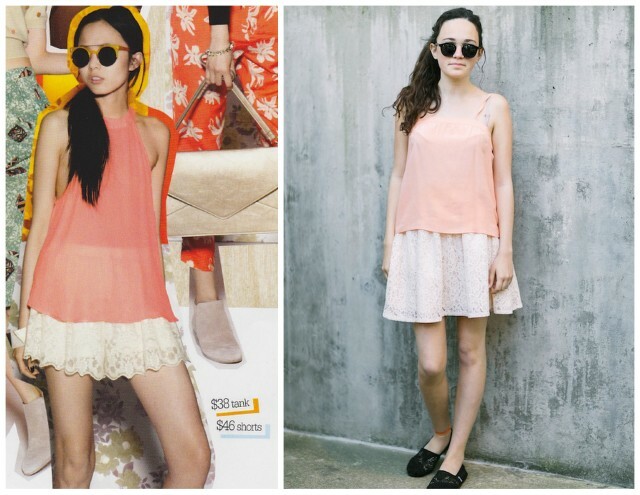 This copycat is from the Nordstrom spring catalog! Oh how this catalog made us squeal!! So fresh and classic good. Eva is sporting this super easy, super sassy outfit. The tank is priced at $22 and the lace skirt is $22 as well (size 6! ).